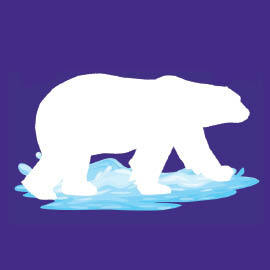 Brantford – In further pursuit of its mission to create “games to change the world,” Wilfrid Laurier University’s Game Design and Development program will host a climate change game jam on March 18 and 19. The event, which will take place at the Brantford Games Network Lab (BGNlab), is presented with support from the Government of Ontario. While the game jam’s primary target is college and university students enrolled in game-related programs in Ontario, registration is open to all, allowing students and non-students at remote sites to join in and create climate change games. “A remote site can be a school, a library, a game store, a group of friends, a family, or just one person who has the passion to help make a difference in the world through games,” said Scott Nicholson, director of the BGNlab. Registered sites will be sent briefing materials ahead of the event, and participants can view the briefing by representatives from the Ministry of the Environment and Climate Change, which will be livestreamed at 9 a.m. EST on March 18. Game creators will then have two days to develop games that will encourage players to reduce their carbon footprint. At the end of the process, individuals will upload their ideas, designs, and prototypes and be encouraged to release them into the Creative Commons, so that anyone can build off of their ideas. The strongest ideas to come out of the game jam will be developed into complete games over the summer of 2017. The BGNlab will hire students from the region to develop full prototypes and will then test those prototypes over the fall to see if the games can make a difference. At the end of the project, the prototypes, design documents, and research will all be released into the Creative Commons with the hope that game designers around the world will localize the games and integrate the concepts into their own games. Anyone can register as a remote site for the game jam through the BGNlab’s website. Questions can be directed to Nicholson at scott.nicholson@wlu.ca.